Bulgaria is one of the richest lands of spas and wellness spots in Europe. With its more than 800 mineral springs with different curative characteristics, the country disposes with some of the best spa resorts, hotel complexes and spa centres in Europe. Beach and ski resorts, rural and eco complexes! Monasteries, nature and ancient ruins! Festivals, unique cuisine and aromatic wines! 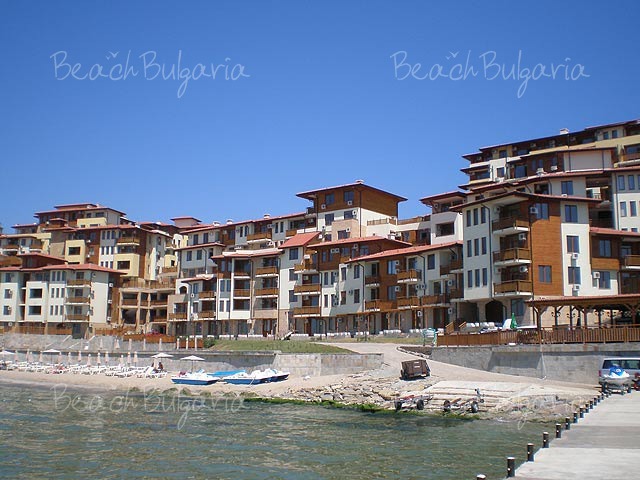 Bulgaria – the real dream area! But before all these, Bulgaria is one of the richest lands of spas and wellness spots in Europe. With its more than 800 mineral springs with different curative characteristics, the country disposes with some of the best spa resorts, hotel complexes and spa centres in Europe. The mineral waters in Bulgaria are known for their varied chemical composition, for their rich in minerals structure and microcomponents. The mud sources, along the Black Sea coast and the curative clays possess great potential in the treatment of many different diseases. Bulgaria also takes one of the first places in the world with the great variety of meditative herbs and apiarian products. Not at last Bulgaria is a real country of sunshine, where the sunny days are 20 % more than in Central and North-West Europe. All these facts make the spa resorts in Bulgaria a real temptation for all Spa lovers. The balneological treatment traditions in Bulgaria date back to ancient times. In Thracian times many flourishing settlements were found in the vicinities of the hot mineral springs on the Bulgarian lands. In Roman times spa centers were established, including Augusta (present-day Hissarya), Dezudava (Sandanski), Pautalia (Kyustendil) and Serdica (Sofia), where many Roman emperors like Maximilianus and Justinianus used the curative mineral waters for treating their disorders. The origin of the word SPA is supposed to come from the name of a Belgium town, whose mineral waters were used for drinking and thus cured many diseases. It is also often suggested that the word is an acronym of various Latin phrases such as "sanitas per aquas" meaning "health through water", or "Solus Per Aqua” meaning “water in itself". Today SPA in Bulgaria means strength and beauty through the magic of the Bulgarian thermal water springs. SPA means not only treatment through mineral water or thermal water rehabilitation, but also includes many other therapies, like thalassotherapies, aromotherapies, thermal mud therapies and many others. The mineral water rehabilitations include mineral water baths, underwater therapies, underwater gymnastics, hydro massages and mineral water drinking. The thalasotherapies are based on the curative power of the sea water, the sea minerals and algae. The aromatherapy on the other side is connected with full relaxing and medication through natural oil essences of rose, rosemary, jojoba, ilang-ilang and honey, chocolate, grapes and wine applications or massages. Of course the spa holiday cannot be complete without an appropriate relaxing massage. The massages can vary from “Vichy” water massages, through chocolate and honey massages to Hawaiian massages with volcanic stones and aromatic flowers. Anti-Stress treatments based on Ayurveda and Weight Loss Programmes including slimming or tightening therapies and sports regimes and special face cosmetic procedures with herbs and Bulgarian mud are also offered at most of the spa centres in Bulgaria. The Bulgarian spa resorts have the advantage of being located in very favourable climatic regions, affording the exceptional possibility of combining balneotherapy with climatic treatment. The best known spa resorts in Bulgaria are Pomorie, St. Konstantine and Elena, Albena, Balchik, Sandanski, Velingrad, Hissar, Kyustendil, Sapareva banya, Pavel Banya, Varshets, and many more. The natural beauty of the spa regions, combined with modern hotels and spa facilities provide excellent opportunitieies for effective treatment of many diseases and also provide unique atmosphere for a nice and relaxing spa holiday. The modern, spa and beauty centres offer luxurious and indulging spa treatments for body and soul, which make everybody feel at home. Relaxed, healthy and full of energy...close to nature, close to your real self...feel the spa magic now and visit the richest spa land in Europe - natural and virgin Bulgaria! Please, post a comment on Spa and Wellness. Early booking Garden of Eden Apartments Sveti Vlas - 15 % discount until 31 March 2019 & 10 % discount until 30 April 2019!